WILLEMSTAD - The government of Finland has agreed to a two-year extension for Helga Mensing, current Honorary Consul of Finland for the Dutch Territories in the Caribbean. Mrs. Mensing was recently in The Hague, The Netherlands where she met with the ambassador of Finland in The Hague, Mrs. Katri Viinika. Honorary consuls may remain under normal conditions until their 70th birthday. The Ministry of Foreign Affairs of Finland has made however an exception and the task of Mrs. Mensing has been extended for the second time for two more years. It was during the meeting with Mrs. Viniika that Mrs. Mensing was asked if she was willing to go two more years, which was gladly accepted. It is for Mrs. Mensing an honor to represent Finland as the honorary consul in the Dutch Territories in the Caribbean. 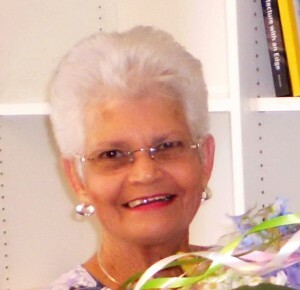 The picture shows honorary consul of Finland in the Dutch Caribbean territories, Helga Mensing.